It has been a long and miserable summer, as the Texas drought drags on. We thought we might get some relief this past weekend, but it did not materialize, as the rainfall from the expected tropical storm went east to Louisiana. Instead, we got high winds. Driving down the freeway I spotted a sign that said “EXTREME WILDFIRE DANGER.” A couple of exits later, I actually witnessed a ranging wildfire a few miles away. Black smoke was billowing, and the winds fanned the flames higher. I could not help but keep “rubbernecking” as I actually saw orange flames spewing high above the trees. Firetrucks raced toward the area and constables blocked off several side roads. It was quite alarming to see. I caught the evening news to find out about the fire. According to the report, by the time the fire was extinguished a few hours later, 60 acres had burned. The fire was said to be caused by an electrical spark that set off the dry brush. Luckily the fires did not affect any residential or business properties and no one was injured. The ill effects of this drought is not limited to the local area. It will impact everyone’s pocketbooks by early to middle of next year. How? The price of beef is expected to sky rocket. Because of the drought, ranchers do not have enough grass to feed their cattle so they are sending them to the slaughterhouse sooner. This means the price of beef is lower these days, but their inventory for next year and the one after, is dropping. Less inventory means higher prices to us. Hamburger prices will increase early next year, steak cuts will jump up in 2013. It would be a good idea to stock up on beef products this year. I checked my stored food and found I have very little beef. I will be ordering some freeze dried beef as the budget allows. Drought affected areas areas are also producing less fruits and vegetables, which will only increase prices of those items even more. Just another reason to keep working on that stockpile. The flooding in the South and Northeast isn’t going to help either. Vegetables are going to be a lot more expensive, a good portion of the crop has been ruined by this weather. ATH, It’s looking bad for food prices in general. Need to increase stockpiles now, as we may all be using them soon enough. Thanks for the heads up, Bernie. I hadn’t considered the amount of meat we have. Arsenius is completely right, vegetables are going up too. Bread has already jumped wildly up here in Canada. Everything is going up. Grocery bills are already so much higher than they used to be. 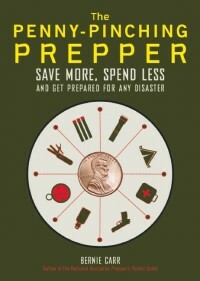 On a related note *grin* Did a review of “The Prepper’s Pocket Guide” on my blog. I cannot say enough good about the book, I cannot stress it’s usefulness enough, I talk about it to everyone who stands still…ok maybe not *that* much…. Hey Carolyn, Seems rising food prices are going to be bad for everyone. Might as well pick up a few more food items now before the prices go through the roof! 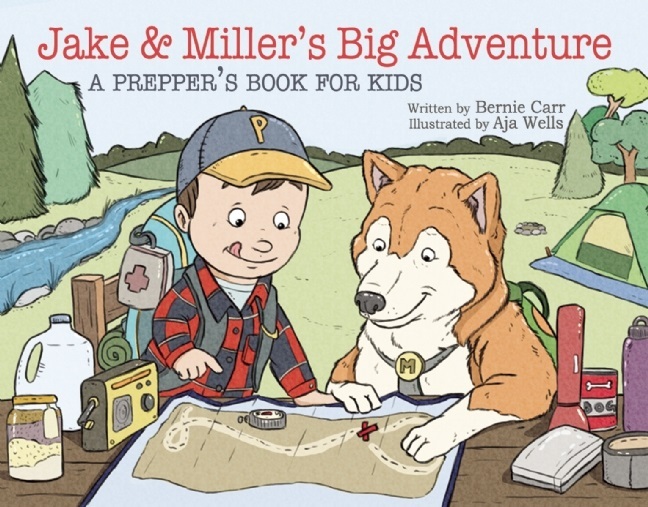 Thanks for the kind words and the book review!! I sure appreciate it. We went though this down cycle in regards to a loss of millions of cows here in canada a number of years ago, they say we are missing ten million calves now on the market, when the market flooded, the typical price per pd was about 15 cents, currently this spring/summer the live on the hoof price has been around 45 cents per pd, this means that currently you can spend 6 dollars on a pd of extra lean humburger, what three years ago you could get on sale for 2 dollars now locally goes on sale for 4.. the price for quality cuts is sky high. Chicken has risen to keep pace, the only regularly cheap meat in our area in the stores is pork. Although you can get good prices on turkey after thanksgiving and after xmas if you have the room to stock up. Hey farmgal, You’ve already seen this happen… Sounds like chicken which is not mentioned as being affected by the drought will rise too! Yikes, I am really worried about this, all we can do is continue to prepare. I have been considering buying part of a cow and have actually had a couple offers, but the hubster always scoffs at the price. We don’t have much freezer storage space, either. I may start pushing the idea a little harder. I’m also pretty worried about food prices over the next few years. Hi Kris, I wish we had the space for a standalone freezer. Our regular freezer is too small to fit 2 turkeys, let alone part of a cow. It would be worth buying if you have the storage space. If you haggle a bit more they may give you a better deal since the beef inventory is high these days. Good luck! All food prices have been rising and will continue to do so due to the inflation caused by our relentless printing of dollar bills. I’ve recently “awoke” to this point of view and, to be honest, wish I were still asleep. I realize that I am a day late to this discussion, but I’ve been watching this too and I think you did good job with “sounding the alarm”. I have been blessed with 3 huge freezers. I regularly bought whole grass fed cows and kept it in my freezers. I usually froze veggies and fruits and put them in my freezers. Christmas Eve 2010, we moved to a more remote location and we moved off grid. Freezers and solar power don’t mix well. You can run them on solar, but, without spending a fortune on panels, freezers are just a luxury we can’t maintain. So, I’ve been searching for a solution. I think I’ve found it in canning. It does take a pressure cooker and canned good take up storage space, too, but storing canned goods may be easier that finding room for any size stand alone freezer. That is my solution, I wonder if it could be anyone else’s solution. Hi Beth, You have planned well to move off grid when you did. I was not aware freezers and solar power do not work well together. Good thing you found this out early though, so you can search for a solution. I would think canning is an effective work around, have you considered drying as well? Maybe not as tasty as canned, but you would have beef or turkey jerky year round, plus dehydrated fruits and vegetables as well. Good luck on finding a solution!